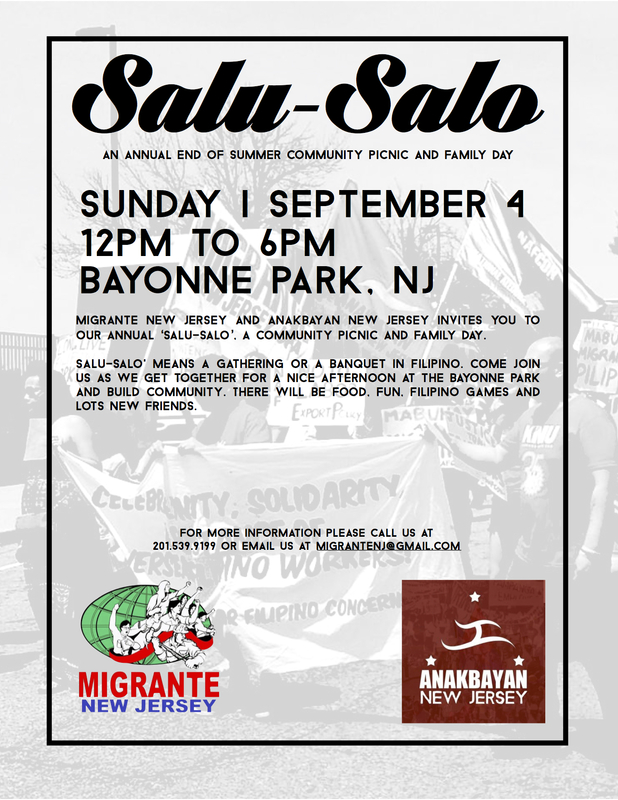 Migrante New Jersey and Anakbayan New jersey invites you to our annual ‘salu-salo’, a community picnic and family day. Salu-salo’ means a gathering or a banquet in Filipino. Come join us as we get together for a nice afternoon at the Bayonne park and build community. There will be food, fun, Filipino games and lots new friends.